Looking for a real wireless programme – For the fainthearted . . .
BBC Radio 3’s Words and Music programme blends classical music with poetry, it is an escape from pop and prattle on one side and endless dreary news of Brexit on the other. It is the BBC at its best, making and airing programmes that no commercial producer could ever contemplate. The programme lasts for over an hour and proceeds uninterrupted by announcements, which would spoil the rhythm of the programme. Radio 3, particularly on a Sunday evening, has time to be expansive and unrushed. No-one listening to the station is going to be perturbed by schedules that are not tight. A programme that ran from 5.30 to 6.45 might just as easily have run until 6.50, and no-one would have noticed. An extra five minutes, and the names of each piece of poetry and music might have been shared, instead, as 6.45 approached, the announcer gave brief programme credits and said that full details would be found on the BBC website. Perhaps Radio 3 listeners are all tech-savvy and were able immediately to access the details. 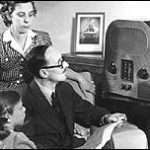 My 81 year old father uses his iPad to read the news before seven o’clock each morning and uses his desktop computer to watch black and white films on YouTube, but he may not be typical of his age group. Isn’t it likely that among the Radio 3 listenership there are those who do not have access to the Internet? Isn’t it likely that there are those whose only experience of tablets is those from the doctor, those for who electronic technology is something with which they have not engaged? The Internet has become an excuse for companies not to provide proper service. Banks making billions of pounds of profit continue to close branches costing a tiny fraction of the banks’ turnover. Each closure hurts the community in which the branch is located, but hurts most those who do not have Internet banking, people who are predominantly those from older generations. (After the TSB fiasco of the past week, where a switch to a new Internet platform led some customers to believe their accounts had been emptied, and other customers to have access to accounts that were not their own, those who have eschewed online accounts might be feeling themselves the wise ones). And it’s not just the banks, the customer service helplines of many companies advise callers to go to their company website, and waiting in the hope of talking to a human being, will bring the advice repeated more than once. Eventually, there will be a reaction to the online trend; the value of interaction with human beings will be rediscovered. 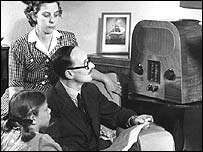 Perhaps Radio 3, that most conservative of stations, might position itself at the forefront of counter-culture by having announcers on programmes telling people things that some might like to hear.